Spock has the same look on his face as I do when I find a tick on my husband after he’s mowed the lawn. 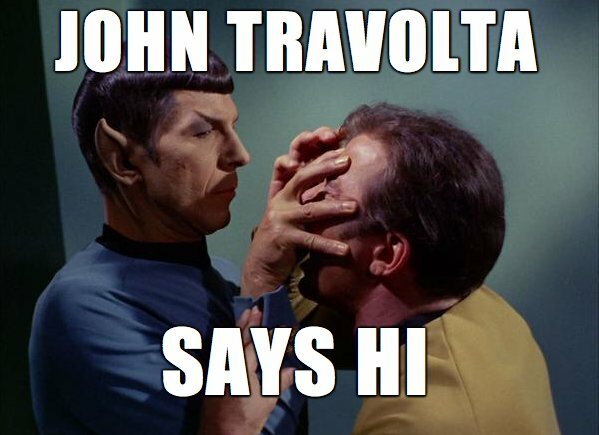 Some people’s minds should be left alone, like mine and John Travolta’s. So it’s a matter of not minding then. Mind meld or weird captain-first officer game? I was never quite sure Bill Y! I doubt if we’ll ever know the real truth Don Don’s! Wouldn’t the universe be a better place if we could all just come to a melding of the minds?